HAPPY THANKSGIVING ~ A Dirt Bag’s Favorite Holiday. 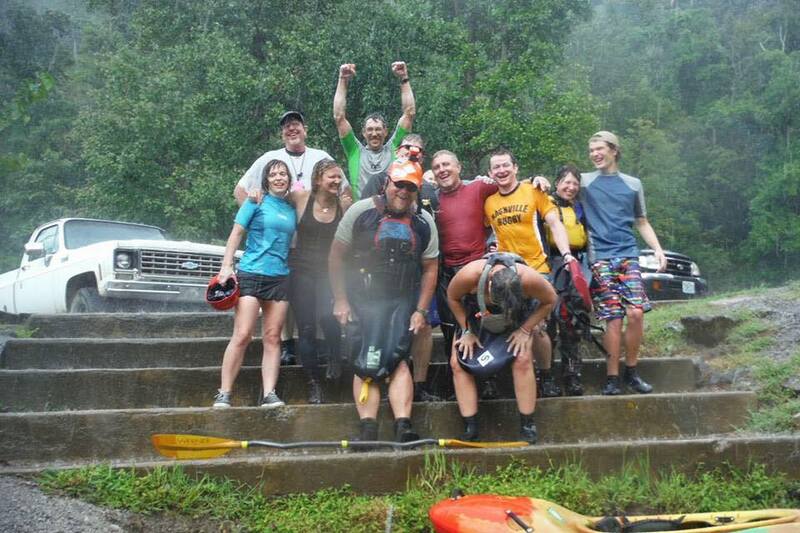 By Taz Riggs, Lauralyn Chrisley, and Mike Toughill | DBP MAGAZINE ONLINE The World's Best Free Whitewater Publication. Thanksgiving is all about family and friends and taking a moment to reflect on those things we hold dear. In that spirit, I asked Associate Editors Kevin “Taz” Riggs and Lauralyn Chrisley to reflect on this special occasion with me and put some thoughts on paper (or screen?) about being thankful. He talks of family, she talks of friends; hers makes me laugh, his makes me cry; mine is a bit of both. Enjoy, and thank YOU. IF WE TRAVEL BACK TO what started it all for me, that passion for the outdoors and paddling, we would continue past the start of my career as a guide, thirty-one years ago. Past the ACA Canoe Instructors course and my first two years of avid paddling. Past my week of beginning instruction, which convinced me that I wanted to do this kind of thing as often and as long as I could. 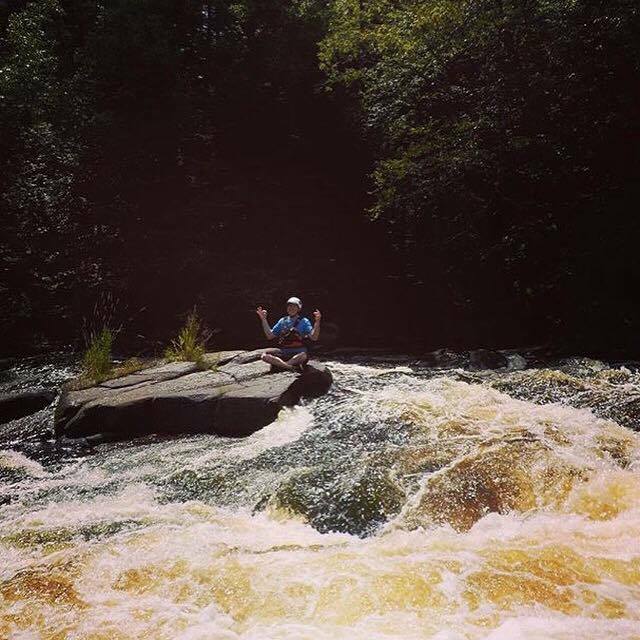 And, the year before that, some friends introduced me to whitewater rafting and exposed me to canoeing and kayaking. But the real start goes back further than that. I had the kind of Mom that’s popular with all of your friends. As embarrassing as that might be for a teen, she had a sharp wit and treated my friends as friends of her own. One summer, she bought an army surplus raft. Of course, at first, I thought it kind of strange. Then, she made known her plan. She offered to take the raft, myself and my best friend and drop us off at the river and pick us up about a dozen miles downstream. 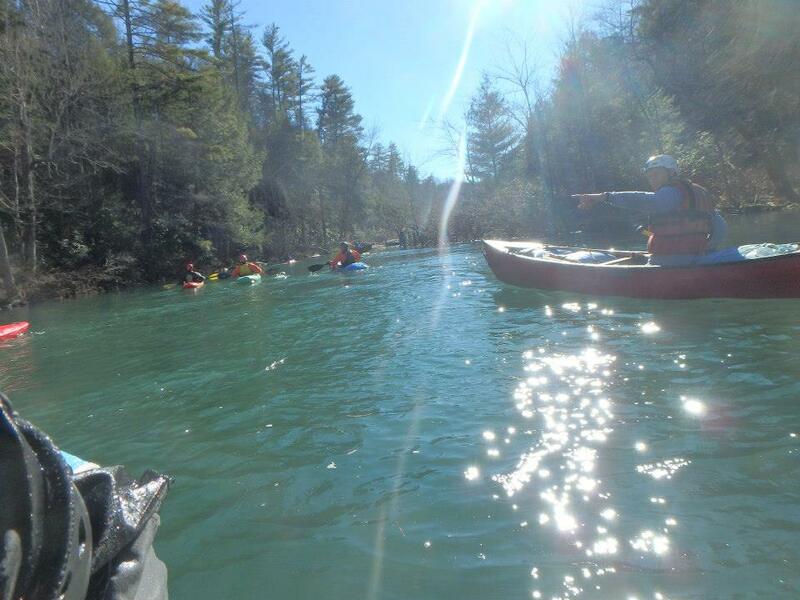 Although the water was mostly flat, there was good current, bends in the river, downed trees, overhanging branches and a couple of easy shoals. The first problem we encountered was that, when we sat opposite each other in the middle, the raft had a tendency to fold up on us. So we sat on opposite corners, front and back. At the back corner, I practiced what my Dad had taught me as an “Indian Stroke.” I relearned it years later as a J-stroke, and its variation, a pry. With it, we could maneuver easily and go fast when we wanted to without having to switch sides to stay on track. Looking back now, it seems it was all kind of risky: we didn’t really know what we were doing, where we were going; there were no houses or roads along the river if we got in trouble. And we weren’t wearing PFDs! THAT is adventure. All I needed was a straw hat, a corncob pipe and for Hannibal, Missouri to be somewhere behind us. Before I became a rebellious teen, my father and I fished together and even tied our own flies. My introduction was on a small two-acre lake. Beside the lake was a rustic lean-to cabin, screened in, with a dirt floor and a loft upstairs for sleeping ten or twelve people, depending on the number of kids there, maybe more. The property belonged to family friends, and we would visit and stay there from time to time. There was a John-Fisher to float on the lake, but no motor or oars. Dad taught me the Indian Stroke and a skulling stroke, feathering the blade back and forth through the water. The boat was stable and the lake was tiny, so I could go out fishing anytime I wanted. I probably wasn’t much good with the paddle, but since I didn’t know what good was, it didn’t matter. I could get out there, catch a few, and get myself back. I grew up in a typical, suburban, Baby-Boomer neighborhood. So there were lots of other kids to play with outside. I think most of us were banished from the house during the day anyway. We didn’t think of ourselves as gangs, at least not in the street sense. But natural groups found each other; classmates, age groups, boys played sports together and girls did . . . well, I don’t know, dolls and dresses, maybe. During the summer, a lot of the kids would disappear for weeks at a time. Their parents would send them away to summer camp. I know that they would have a lot of fun doing things that weren’t normally available to suburban youth. Sure, I thought that would be neat, but I couldn’t help being a little sad for them that their parents would send them away. 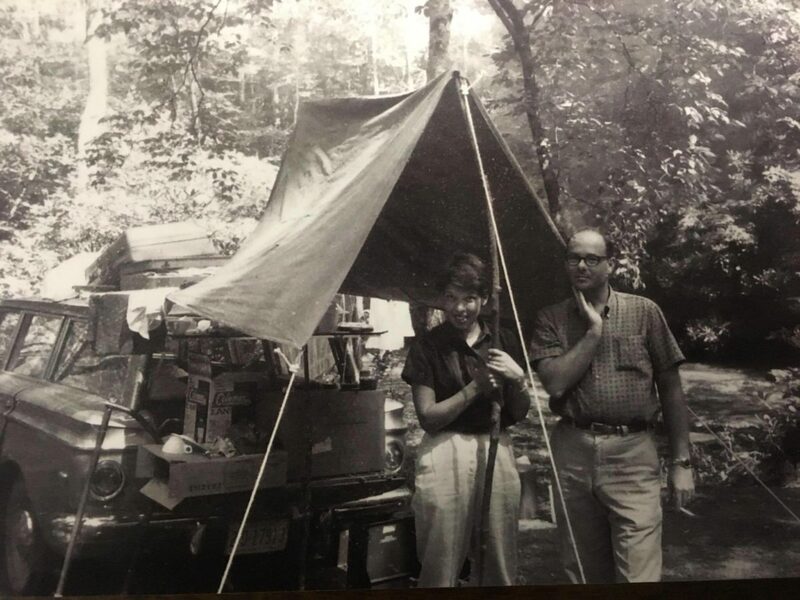 My folks would take us camping almost every other weekend during the summer and for two weeks, when Dad took vacation. Usually we took to the mountains for weekends and two weeks allowed for the longer trip to the coast and back. Whenever possible, Dad would inject some kind of history or nature lesson as a part of our trips, visiting museums and historical sites. Even at that early age, I had a sense that my parents did this as much or more for their children as they did for themselves. I’m all grown up now. Or at least my age suggests it. Both of my parents have passed and, of course, I miss them dearly. For all the things I can think of to be thankful for today, nothing compares to the two people who gave me life, love and a sense of curiosity, good humor and adventure. Thank you, Tommy and Peggie. Mike messaged a couple of us and asked if we could write something about giving thanks for paddling. I usually like to have ample time to obsess over ideas, and we had a week before he needed a draft to be able to get it ready in time for Thanksgiving. That’s barely enough time to get weird. 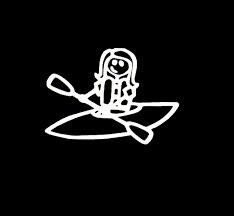 There’s already a lot out there about all the gifts paddling offers, written by people with way more experience and skill than I’ll ever see. No sense pretending to be like those guys – and what’s cool is that I don’t have to. I’m only a few years into this sport. My story about what I owe to it probably starts when I moved to Nashville from Houston, looking for a change after getting laid off from a high-paying, high-stress corporate job. I didn’t like the work much anyway, but its loss left me with some pretty significant issues of various kinds. I dealt with those. The new world I built in the aftermath was, relatively speaking, safe . . . and very small. I zombied in it for the next seven years. One day, I went crazy and took a basic recreational kayaking class. 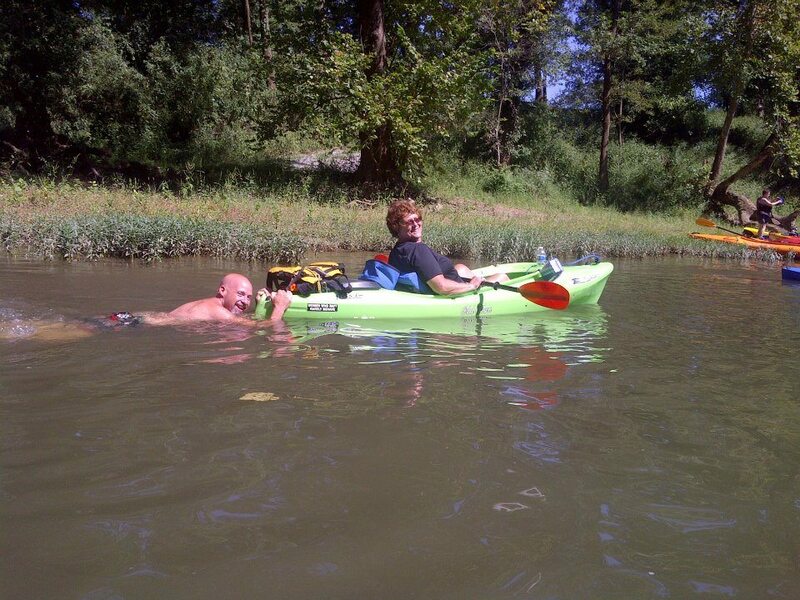 Then I rented a terrible blue boat (it constantly skewed left, seemingly on its whim) and went kayaking on the Duck River. Those two small decisions got me started in the direction that would eventually lead me to those standard experiences that most newish paddlers recognize as sacred: buddies who cheer for your first combat roll; superheroes who lead you down the river, setting safety, providing a bow or a strong arm when you screw up; first-timers placing enough trust in you to follow your line; immersion in beauty so overwhelming it hurts, but you can’t stop looking – and, of course, the magical water. For you, maybe it’s oceans or lakes; for me, it’s everything rivers. Thank God for all of it. The world is bigger and scarier now – and about a million colors deep. Two kayaks and a canoe touch the shore, and a paddler slowly emerges from each. 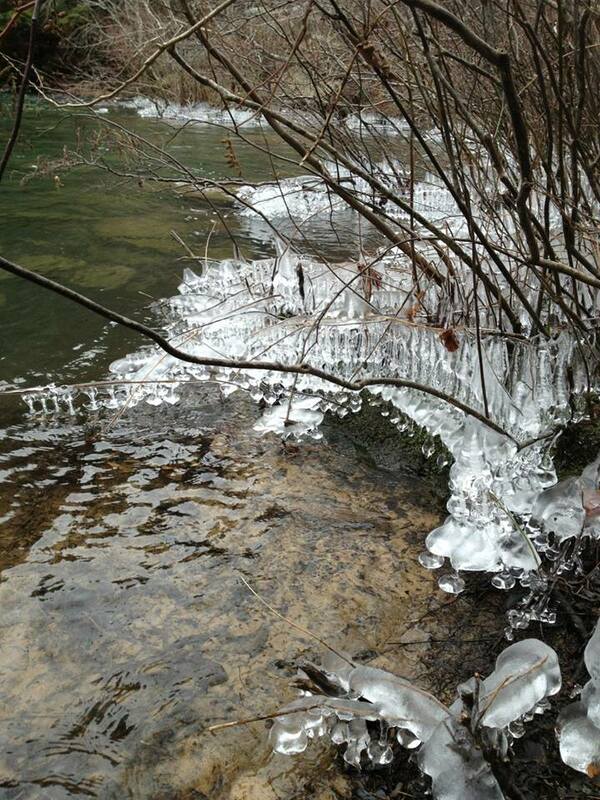 January 14, 2014: Scenes from the River, Part…whatever. West Fork of the Obey. Entering big rapid. January 30, 2014: I’ve never understood when people talk about “a beautiful day” in, say, January. Maybe I just hadn’t met the right rivers yet. February 11, 2015: I love and am deeply grateful for the challenges and rewards of being on a new level of skill and responsibility. 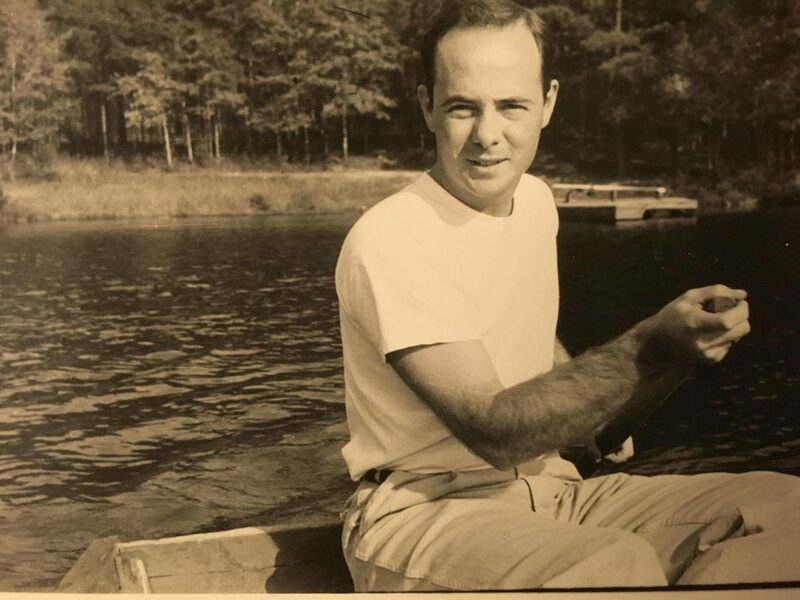 But sometimes, on a cold winter’s night, my heart warms, thinking of the halcyon days when my friends and I rented sit-on-tops and boldly ventured down the Hiwassee – no roll, no forward stroke, all adrenaline and laughter and inadequate gear – living on the edge, because it was The Gnar. April 30, 2015: I love these days – love that, even though I’m in a windowless office behind a computer screen (or two), my boat’s in my car down in the parking garage, waiting; love that I’ve got my bag of still-damp gear to change into at precisely 5:31; love that I get to laugh with my friends on the water later (mostly at ourselves); love being a little cold and going for it anyway, knowing that it’s a little warmer and the sun lasts a little longer every day; love that we’re all so much better than we used to be and nowhere near as good as we’re going to be. Lauralyn: That’s what she said. The Upper Huacas Redemption: As we revisit the lower Pacuare, I find I’m so excited, I can barely sit still or hold a thought in my head. I think it’s the excitement only a masochist can feel – a masochist at the start of a long journey whose conclusion is likely unfortunate. I hope I can make the ferry and punch the hole. I hope my friends don’t have to chase my gear. I hope the Pacuare from underneath is as blue as it was the last time I ate it. Deborah can’t roll a Rock Star her first time out. Lie to your friends and then look awesome. I’m a summer girl. This time of year always feels like a death to me – the falling temperatures, the increasingly shorter days are symptoms of some wasting, terminal condition. These last few years, it’s also meant time to say goodbye to the rivers, maybe catch a glimpse of them from the car over the side of a bridge, all gray and lonely. The too-familiar dread is starting to creep up, but some kind of shift has happened. Pumpkin-spiced latte, sweaters, and holidays will never appeal to me. But I am seeing the blaze of a sun ray as it pierces an icicle and hits free-flowing water so blue it’s painful to look at directly. (A fellow paddler once picked one of these off the side of a bluff and held it to the front of his helmet, announcing, “I’m horny!”) Then there’s the crazed rush of purposely throwing my boat over in not-much-above-freezing water because my body knows how to put it right again. I’m hearing my friends laugh and swear and jovially insult each other, knowing that in an instant, these sweetly goofy individuals can transform into an ace rescue force. I remember the joy of being afraid and excited and, for a short, glorious time, knowing nothing but right now. Maybe hope can look like that. AND NOW FOR MY PART. I guess buried somewhere deep within my Dirtbag heart, I’m a traditionalist. An American through and through, even when I’m ashamed to admit it. My roots run deep. Not that giving thanks is the sole propriety of an American – that is truly something that belongs to every human being. But rather, it’s a tradition that dates to our origins, however flawed, something that “makes us great again” every autumn. Thanks to my paddling friends, who guided me through my awkward years and taught me first to boat and then to help others boat, and, most importantly, gave me confidence that I could be good too. Thanks to my Kosir’s family, especially the Guarnieres, for giving me employment and the role of River Manager to grow into, one that led me directly to this job as Editor-in-Chief today. They always gave me gear to use whenever and wherever I saw fit, without a second thought. Thanks to the Peshtigo River, for teaching me everything, especially what NOT to do, humbling me exactly when I deserved it, allowing me to save hundreds, if not thousands, of other poor souls, and not killing me in the process. Thanks to my Dirt Bag Family, who joined me and believed with me that we could bring people together, share in the One Love One River Philosophy, unite the community, not just around our tiny area in Northern Wisconsin (DBP’s original target group), but around the world!, and have a blast doing it! You guys and girls make me proud and humble all in the same breath. Thanks to the ones who came before, men like William McGinnis, Doug Ammons, Charlie Walbridge, William Neely and others, who took the time to write about their experiences so that I could learn from them and not repeat those mistake… or at least when I DID make them I could be like, “oh, so that’s what he meant!” Some of these heroes I’ve had the chance to meet, and they have been very generous to me, and their examples, more than anything, fired my imagination to create this Magazine. Thanks to Maravia for sponsoring me so I can soul boat instead of push rubber. 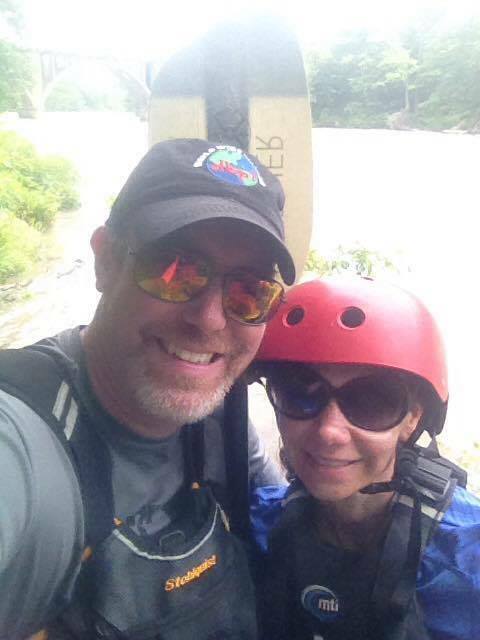 And special thanks to my wife Nikki, who I met paddling the Peshtigo, and who loves to remind me she was rafting before I ever was. She always let me go off and paddle and is there waiting for me when the dirtbaggin’ is done. Thanksgiving is all about family and friends and taking a moment to reflect on those things we hold dear. As you can see, it is a very special day here at DBP, our favorite holiday of the year! May yours be a blessed day too! Thank you!